Move over, coloring books. Here's a whole new way for kids to create bright, colorful pictures. Find the numbered stickers, peel them, and place them where they belong. 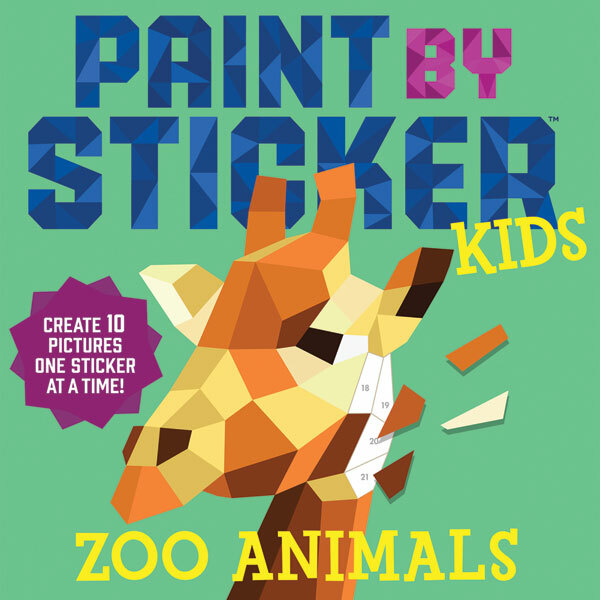 Sticker by sticker, an image appears: an elephant, koala, red panda, tiger, peacock and more. 10 images on perforated cardstock pages, perfect for framing or the fridge. Softcover, 9" x 12", 34 pages. Ages 5 and up.